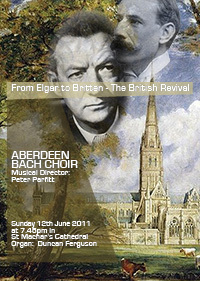 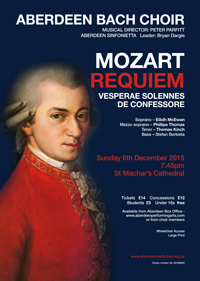 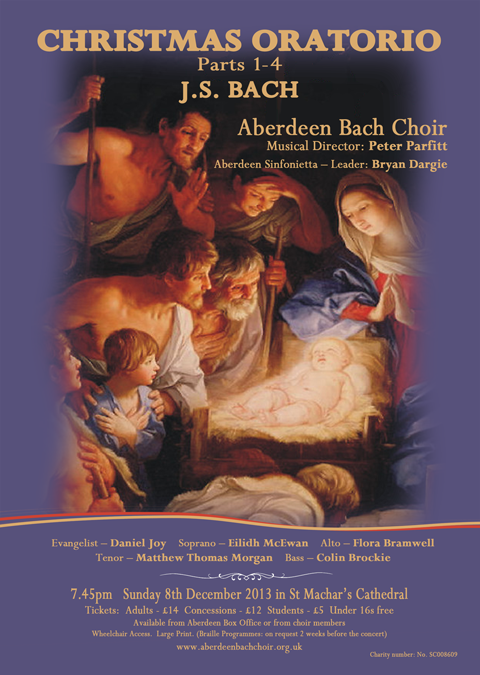 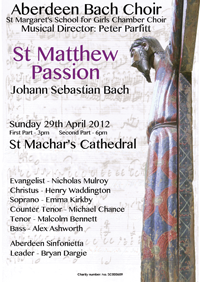 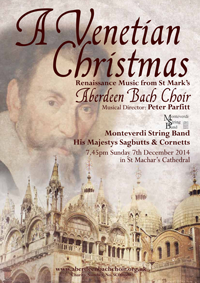 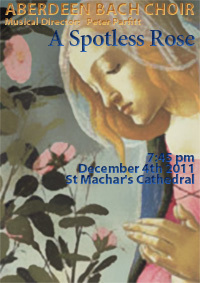 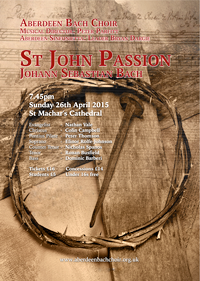 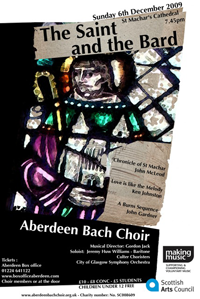 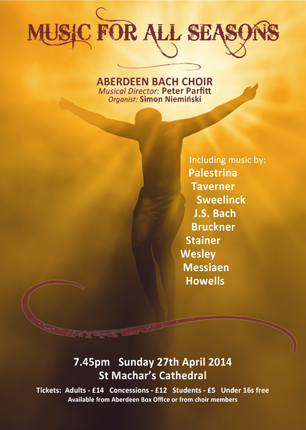 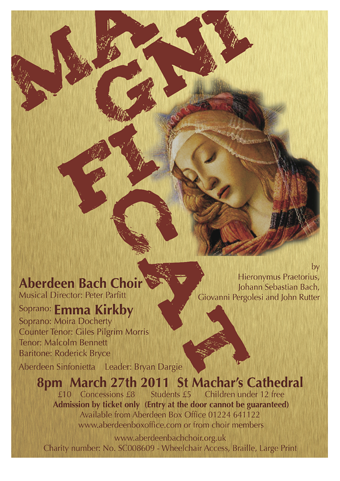 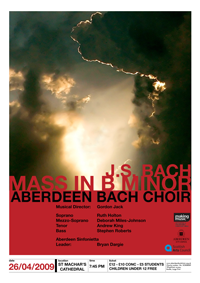 Aberdeen Bach Choir's regular concerts take place on the first Sunday in December and the last Sunday in April each year in St Machar's Cathedral. 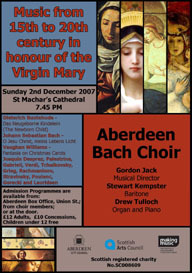 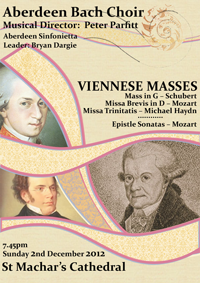 The December 2010 concert was postponed because of blizzard conditions and the rearranged concert took place in May 2011. 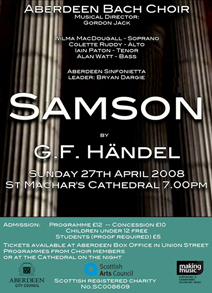 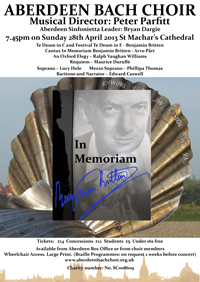 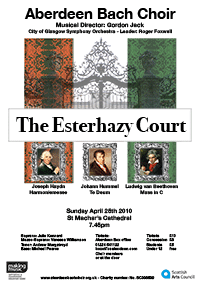 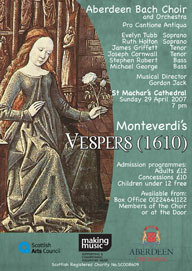 The 'April' concert that year was moved to June 2011.